More about Marimekko Unikko Beige / Blue Acrylic-Coated Cotton Placemat This Marimekko placemat feels like soft and sturdy cotton to the touch, but has been coated in acrylic to stand up to messes. It is easily tossed in the wash between uses. 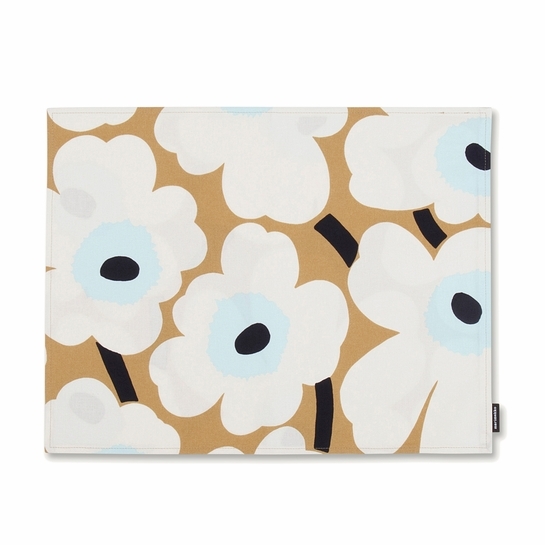 When in use, you and guests will love the famous 1964 Unikko print by Maija Isola in fresh new shades of beige and blue. Price is for one placemat.